An understanding of blood studies allows the Radiation Therapist to better appreciate a patient’s condition. Radiation Therapy can reduce white cell count as well as reduce platelet levels. Blood assists the body to fight infection as well as prevent bleeding. Some of the other factors which can affect the blood values of Cancer patients are chemotherapy as well as intravenous contrast a patient may receive as part of their radiation therapy simulations procedure. The complete blood count (CBC) is a commonly ordered blood test. The major portion of this blood study measures the concentration of white blood cells, red blood cells, as well as platelets in the blood. White blood cells are part of the body’s immune system and assist the body in fighting infections. A low white cell count may be a response to chemotherapy. While a high white cell count may signify an infection or malignancy in the body. Red blood cells carry hemoglobin which is responsible for oxygen transport in the body. A low red blood cell levels may signify anemia. While a high red blood cell count may be a response to bone marrow disease or hypoxia (low levels of blood oxygenation). Platelets are colorless disk shaped blood cell fragments responsible for clotting. A low platelet count may mean a patient has a difficulty clotting. While a high platelet count may signify inflammation or a bone marrow problem. Another common blood study is: blood urea nitrogen or BUN. BUN levels reveal information on how well a patient’s kidneys as well as liver are working. Here is a basic idea of how the body forms as well as gets rid of urea nitrogen. Our livers produce ammonia which contains nitrogen. Nitrogen combines with oxygen, carbon, as well as hydrogen in the blood to form urea. Urea is filtered by our kidneys and leaves the body through urine. A BUN (blood urea nitrogen) blood study reveals if urea nitrogen levels are higher than normal which may mean a patient’s kidneys and liver may not be working properly. Creatine is another common blood study. Creatine is found in most body tissue and is responsible for supplying energy for muscles. Creatinine is a waste product from creatine. Creatine levels reveal how well a patient’s kidneys are working. Normal kidneys are capable of efficiently removing creatine from the blood. If creatine levels rise it may mean that kidney function is compromised. A patient’s iodine allergy status, BUN / creatine levels are routinely checked before administering iodine based intravenous contrast for a patient Cat Scan radiation therapy simulation procedure. The Radiation Oncologist ordering the simulation will establish guidelines for contrast administration. Glomerular filtration rate or GFR is yet another blood study used to check how well a patient’s kidneys are functioning or index kidney function. The GFR blood study measures the how much blood filters through a patient’s kidney glomeruli each minute. GFR values are often considered before administering intravenous MRI gadolinium contrast. 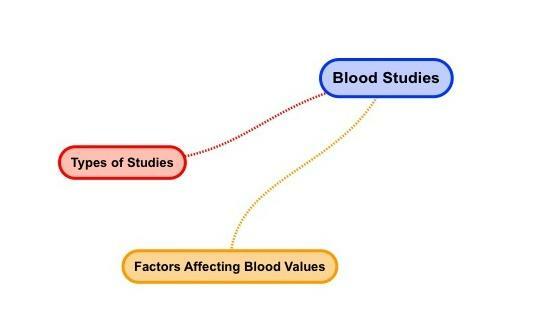 Factors affecting how blood values are read include a patient race, age, as well as gender. A patient’s weight is also considered before determining the amount of contrast material to administer.